Back in my marathon-training days, I used to go through a lot of Gatorade. Like, a lot. But never once did it dawn on me to make my own. 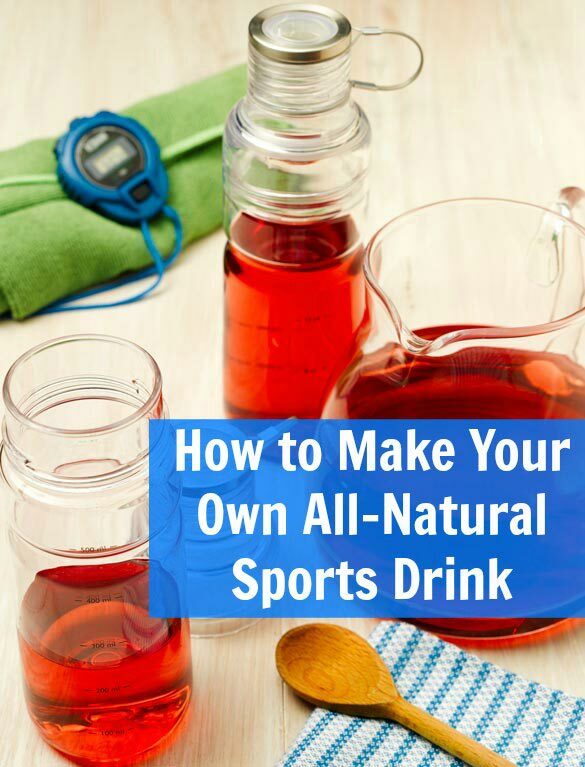 It is so darn easy to make your own sports drink. It takes little time, you can make as much or as little as you want, it’s all-natural and it’s a whole heck of a lot cheaper than the stuff on the shelf. Not to mention that’s it’s pretty darn tasty, too! In fact, we got this Cranberry Sports Drink Recipe from Pure Canadian Maple Syrup, and it’s so great that, gosh, I kind of want to train for another marathon just to make up for all that lost all-natural-sports-drink-making time! 1. Mix together all the ingredients. If using star anise, leave to infuse for one hour then strain. Refrigerate. I made this with just a few changes and I think it’s right there. Not too heavy, not too sweet, and with a bottle of water too I rode 40 miles and felt great. I take a bottle when I go to work ( outdoors) to drink with my water. I want those little glass measuring tubes!!! Where did you get them!? Or is this a stock photo? Can you use honey insread of maple syrup? I estimate that this recipe has 57 calories per serving.